Compressed natural gas (CNG) is used to fuel natural gas vehicles (NGVs) that produce few or no emissions. NGVs are good for the environment, and owners also see savings at the pump. CNG is a fuel source that is made from compressing natural gas to high pressures. 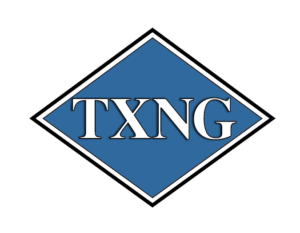 CNG can be used in place of gasoline, diesel fuel and propane in light, medium, and heavy-duty applications with a CNG conversion kit available or CNG engine. Compressed natural gas is the cleanest burning fossil fuel operating today, producing the fewest emissions of any motor fuel. Texas Gas Service also provides a Natural Gas Vehicle Rebate program. Electric Cab provides a fun, safe, and green ride for evening entertainment and special event pedestrians in Downtown Austin. They deliver the most eye-catching, innovative and cost effective advertising in the market today. They are reinventing urban mobility and setting the stage for low-speed autonomous vehicles. ICOM North America with its partners brings over 100 years of expertise as a world class manufacturer for the Propane Vehicle industry. Our innovative, patented fuel tanks, liquid propane injection systems, and supporting products are supplied to OEMs and the aftermarkets worldwide. The ICOM JTG System is configured to North American needs and standards. We will continually work closely with our OEM Partners to bring more engine platforms to the North American market. Working with our partners, we are able to provide a one-stop-shop for obtaining, installing, and maintaining your fleet’s propane fuel systems, as well as the most cost-effective solutions for your ongoing fuel needs. Since 1998, with a solid reputation and core competency in central propane gas systems, HBH Gas Systems has offered propane suppliers and retailers the opportunity to own and operate community propane systems for residential and commercial developments where natural gas is not available. By installing one central propane tank for an entire development and installing underground mains to each lot, propane marketers can market and provide metered central gas for their customers. Fuel your off grid development with economical, environmentally friendly propane gas. HBH Gas Systems specializes in the marketing, design, and implementation of fully-engineered central LP (propane) gas distribution systems. In qualified developments, we provide systems at no cost to the developer. The Propane Council of Texas (ProCOT) is a non-profit 501 (c) 3 dedicated to educating the public on clean-burning propane autogas. ProCOT is the state entity that represents the Propane Education & Research Council (PERC), which was authorized by the U.S. Congress with the passage of the Propane Education and Research Act (PERA) of 1996. ProCOT administers a Propane Mower & Vehicle Incentive Program that assists fleets and commercial users on making the switcher to greener propane autogas. Visit www.procot.org for more information. Henna Chevrolet Isuzu has been proudly serving Austin, Texas drivers for more than seven decades, and we look forward to continuing to provide you with the same unsurpassed level of care that you’ve come to expect from the Henna name. In addition to Chevrolet’s award winning Bolt and Volt electric models, we also offer Chevy and Isuzu trucks that are designed for conversion to CNG and LPG. We are a Business Elite dealership that caters to the unique needs of Fleet and Commercial customers and we strive to treat all our customers like family, catering to their trade-in, purchase, finance and service needs. Henna Chevrolet Isuzu will Stand By You! Agility Fuel Solutions is the leading global provider of highly-engineered and cost-effective compressed natural gas, liquid natural gas, propane, and hydrogen fuel systems and Type 4 composite cylinders for medium- and heavy-duty commercial vehicles. Our solutions enable the safe and effective use of natural gas, propane, and hydrogen as a transportation fuel. These clean fuels reduce greenhouse gas and other air emissions and save money for fleet operators and their customers. Last year their Powertrain Systems business unit acquired the assets of CleanFUEL USA in Georgetown, a leading provider of liquid-injection propane fuel systems for commercial vehicles, as well as propane autogas dispensers and refueling equipment. Suburban Propane Partners has been in the customer service business since 1928. A Master Limited Partnership since 1996, Suburban is a value-oriented company managed for long-term, consistent performance. Headquartered in Whippany, New Jersey, Suburban is a nationwide marketer and distributor of a diverse array of products to meet the energy needs of our customers, specializing in propane, fuel oil and refined fuels, as well as the marketing of natural gas and electricity in deregulated markets. With nearly 3,800 full-time employees, Suburban maintains business operations in 41 states, providing prompt, reliable service to approximately 1.1 million residential, commercial, industrial and agricultural customers through 675 locations. Visit suburbanpropane.com for more information. The mission of the CLEAN AIR Force of Central Texas is to (1) be a liaison among all stakeholders, (2) coordinate the air quality planning of the private sector, (3) provide a forum for public discussion, (4) educate the public on air quality issues, and (5) manage air quality improvement programs in Central Texas focused on motivating the citizens, businesses and governments of this region to take actions to reduce air pollution to protect public health and the health of the economy. Air Central Texas (ACT) is an initiative hosted by the Capital Area Council of Governments to reduce exposure to air pollution in Bastrop, Caldwell, Hays, Travis, and Williamson Counties through voluntary actions to reduce emissions and tools for the public to avoid exposure to high pollution levels when they occur. Participants include local governments, regional and state government agencies, non-profit groups and institutions and businesses. ACT works to provide the public with information about Central Texas Air Quality, support existing air quality programs, and motivate everyone to make decisions that are Air Aware. 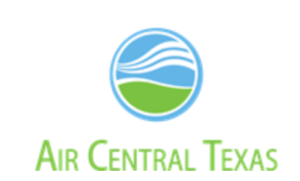 Visit their website at http://www.aircentraltexas.org/ to learn more. 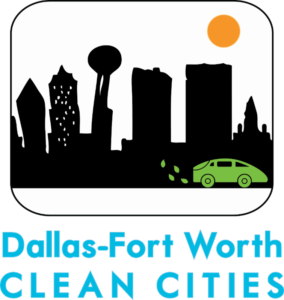 All of the clean cities coalitions across the country work in communities to implement alternative fuels and advanced vehicle technologies. Clean Cities coalitions are comprised of businesses, fuel providers, vehicle fleets, state and local government agencies and community organizations. Each coalition is led by an on-the-ground Clean Cities coordinator, who tailors projects and activities to capitalize on the unique opportunities in each community. There are four clean cities coalitions working to clear the air in Texas. We partner with each other to broaden our reach.